There were several allegations of corruption against Sharif family prior to Panama Leaks (Panamegate Scandal) as Mr. Nawaz Sharif was sent home twice before this case and corruption were one of the main elements in those downfalls too. Till now, there are more than a dozen cases that are pending in National Accountability Bureau (NAB) and other courts. However, that all was still manageable for Sharif family to handle but suddenly in a slightly cold evening of April 3rd, 2016, Panamagate Scandal ( Panama Leaks ) came as a storm in which The International Consortium of Investigative Journalists (ICIJ) makes 11.5 million secret documents available to the public for the very first time and in a blink of an eye Nawaz Sharif, Maryam Nawaz, Hassan Nawaz and Hussain Nawaz came in the spotlight. The source of those documents was a Panamanian legal advisory firm Mossack Fonseca that contains confidential attorney-client information for more than 214,488 offshore entities. It proved to be an earthquake in Pakistani politics when it revealed that out of the lot, eight off-shore companies have links to Prime Minister Nawaz Sharif, his elder daughter Maryam Nawaz and his family. Interestingly, Maryam Nawaz had denied the facts in a TV talk show with host Sana Buchha prior to case take up in Supreme Court and so were the other family members including Hassan Nawaz and Hussain Nawaz. One of the main opposition parties in Pakistan (PTI) chairman Imran Khan took it as a blessing in disguise as he said in a presser on April 4th, 2016, that “the Panama leaks are God sent”. That was the point when nation smelled that something will happen. Imran Khan took it as a burning issue of the society and he started public awareness program by holding huge public gatherings across the country about Panama Leaks. In a pressure cooker situation (Applied by PTI and Media), Prime Minister Nawaz Sharif announced probe (on his own terms) in his speech to the nation, which later, proved to be the last nail in the coffin as proceedings went on. 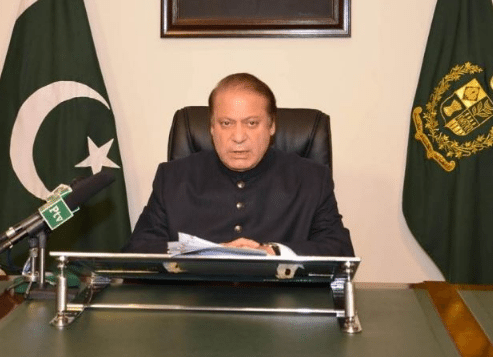 As Sharif family was in hot waters because of opposition’s mounting pressure, Prime Minister flew for London to cite medical checkup on April 15, 2016 however he returned on 22nd of April and on the same day he again addressed the nation (that was the first instance in the national history, a premier addressed the nation twice in a week time) in which he said he will resign if proven guilty. However, it proved not to be at later stages and SC had to disqualify the premier after a long judicial battle of about one and a half long years. In between the lines, the government tried to bluff both PTI and SC by forming their toothless ToRs but both Supreme Court and Pakistan Tehrik-e-Insaf refused to accept such terms of references. In reply, Opposition presented their ToRs on 5th of May which were of course not acceptable for the government. On 10th of May 2016, then Chief of Army Staff Gen. Raheel Sharif urges PM to resolve Panama Issue ASAP. In the meanwhile, Government tried to tackle it the other way by forming an inquiry commission. In reply SC served a later to the law secretary in which they stated “Formation of inquiry commission under the Pakistan Commission of Inquiry Act 1956 (Act VI of 1956), looking to its limited scope, will result in the constitution of a toothless commission, which will serve no useful purpose, except giving bad name to it.” That statement indicated that the SC willing to take an active part in the case and don’t have the intention to provide the way out to the government. The Supreme Court also stated that ToRs of the proposed commission is so wide and open that it may take 70 years for the commission to conclude proceedings. 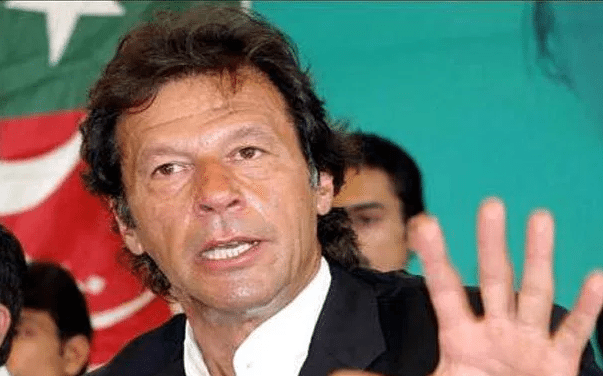 The pressure applied by the Opposition leader Imran Khan and media was that extreme that Prime Minister has to respond it on the floor of the parliament house on May 16th, 2016. That speech proved to be the landmark in this case at later stages. In his speech to the parliament, he tried to explain the sources behind the ownership of his London Park Lane flats. According to that speech, the money used to purchase Park Lane flats in London was linked to properties those were sold off in Pakistan decades ago. Astonishingly, there is no mention of Qatari Prince Jassim who was the main defense in the case for Nawaz’s family in later stages. On May 22nd, Nawaz Sharif again flew to London for a heart surgery. It took 48 days to return back to Pakistan. In this duration, ToRs game was on without any success and in his absence, Maryam Nawaz was chairing the most important meetings regarding national issues without having any public elected office. Imran Khan rightly entitled her as “unelected deputy prime minister” then. Finally, on 20th July 2016, PTI decided not to negotiate anymore with the government on ToRs settlement. They invited other opposition parties to join hands with PTI on this national interest issue but no one agreed to join the PTI-led opposition in this regard. Mr. Khan was really angry as he stated that 4 months have passed by after the Panama Scandal made the headlines but still there is not even a single institution that moved on or served a notice to those whose names appeared in Panama Papers for committing money laundering, Tax evasion and looting the nation’s money. In that regard, he started “Movement for Accountability” to put pressure on responsible institutions. From there onwards, PTI had been on the roads most of the time to spread awareness among the people of Pakistan and also, to pressurize the institutions. September 30th, 2016, PTI holds a huge public gathering nearby Nawaz Sharif’s residence In Raiwind. That seen by many as do or die act of Imran Khan. People responded to their cricketer turned political leader’s call in best possible manner and that actually proved to be a ‘turning point’ in (Panama Leaks Hangama) Panamagate Scandal. 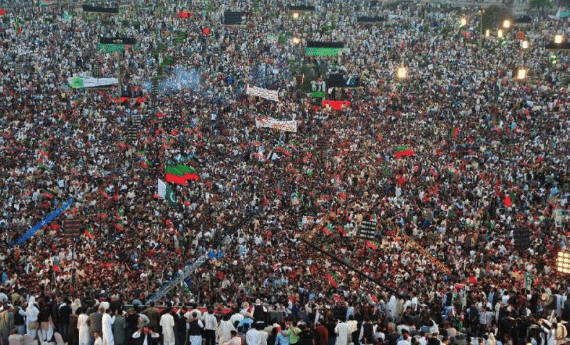 In that massive gathering, Khan called on the nation to lay siege to Islamabad on Oct 30, told them to paralyze the capital until Sharif’s resignation or present him for accountability. On 30th October 2016, Government had blocked all the main roads towards the capital city by placing the containers and decided to disrupt the protestors with hard hands. A convey of protesters led by the Chief minister KPK received a fierce shelling from Punjab government’s law enforcement agencies on the entry points of Punjab in which many people were wounded. Before it gets worst, the SC has decided to form a larger five-member bench to hear petitions regarding Panama scandal. After SC decision, Imran Khan Called off the lockdown and ask his followers to gather for ‘Thanksgiving Day’ (Youm-e-Tashakkur) instead of lockdown in parade ground of capital Islamabad on 2nd of November. In the meanwhile, Supreme Court of Pakistan held first hearing of Panama case on 1st of November 2016. It looked like a win-win situation for all the parties at the start and everyone accepted it with the open heart. 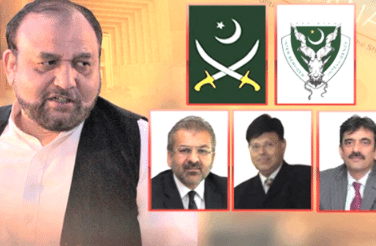 The biggest case of Pakistan history had been going on to its ultimate end but it gets halted on December 9 by the retirement of then CJ and head of the larger bench Mr. Jamali. That increased the rumors in the public but new CJ Mr. Saqib Nisar constituted a new bench under the supervision of forthcoming CJP Mr. Asif Saeed Khosa to take up the hearing from January 4th onwards. Sharif family tried to used their delaying tactics by shuffling or replacing their lawyers in between but on 12th of January, two different money trails puzzled the judiciary bench. First one the speech of Mr. PM to the parliament where he tried to justify the money trail by saying that it came from the sale of the assets in Pakistan and other countries. 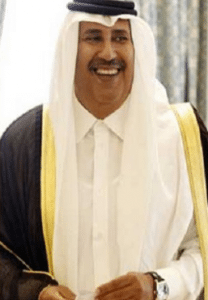 Remember, He didn’t mention Mr. Jassim (Qatari prince, the main character of new money trail) even once and the other is, of course, the famous one, THE QATARI MONEY TRAIL. 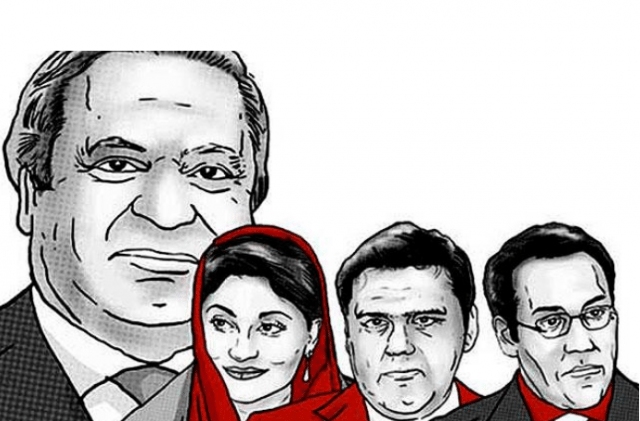 On January 13, a report revealed in BBC further increased the difficulties of Sharif family in which it was stated that the London flats were purchased in the 1990s. According to official documents available on BBC Urdu, the four flats were purchased in the name of the Nielsen and Nescoll companies which were owned by the alleged family. In the documents, it was stated that companies are doing business in the United Kingdom and when Hassan Nawaz established Flagship Investment Ltd in 2001, the address he provided at the time of registration of the company was that of his Park Lane apartment. On the same day, a statement presented before the court by premier’s daughter Maryam Nawaz in which she stated that she was not her father’s dependent after her marriage in 1992 to Captain Safdar and that she lived with her husband after her wedding. That statement was contradictory to her prior statement in which she said that she lived with his parents. Another break in a day to day hearing was observed from 31st January to 15th of February 2017 due to Justice Asif Saeed Khosa illness. He had to be rushed to the Rawalpindi Institute of Cardiology following chest pains on Jan 31. February 16th, it was admitted by the lawyers of Sharif family that Maryam Nawaz was the trustee of London flats for six months. A seemingly split verdict came out from honorable Supreme Court, looked like in favor of Sharif Family at that point of time with the margin of 3-2. 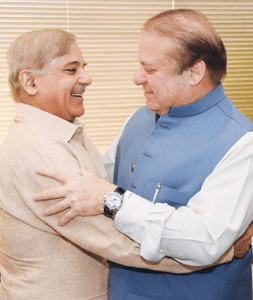 But those proved to be the last moments of joy for Sharif family and the Muslim League (N) which they celebrated by serving the sweets to each other. 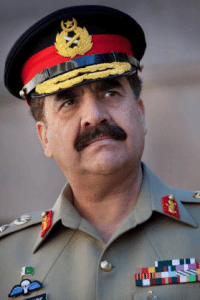 However, for the first time in Pakistan Political history a royal family had to face further investigation in front of a specially constituted Joint Investigation Team (JIT) containing a member each from Inter-Services Intelligence (ISI), Military Intelligence (MI), National Accountability Bauru (NAB), Securities and Exchange Commission of Pakistan (SECP), Federal Investigation Agency (FIA) and State Bank of Pakistan (SBP) officials. The PML (N) sweets festival cut short as SC ordered the JIT to investigate the matter whether Sharif family was involved in wrongdoing or not inside the 60-days’ time frame. Justice Khosa and Justice Gulzar Ahmed both wrote in 548-pages judgment that PM Nawaz should be disqualified for not being honest before the nation, parliament, and court, and called for directions to the ECP to immediately de-notify the prime minister. While the other 3 honorable judges (Justice Ejaz Afzal, Justice Sheikh Azmat Saeed and Justice Ijazul Ahsan) didn’t clear the PM but give him a chance to clear himself and his family in front of JIT. So, as a result of the majority verdict, Nawaz Sharif remained the prime minister, but have to face due investigation by the JIT on the issue of money trail in what may be a long-drawn process. On the other hand, JIT was bound to submit its periodic findings report in front of SC. That was the point which didn’t take seriously in the start by PML (N) but with the time being, JIT proved to be a thorn in the throat for Sharif family. Unlike the past investigating teams on several national issues, JIT worked splendidly well under the supervision of FIA’s Additional Director General Wajid Zia and they turned a looking like an impossible task into a possible one. JIT submitted its 275-page final report in front of Apex Court in addition to 10 volumes of findingsn of Panama leaks case. This time there wasn’t any sweet servings around by the PML (N) as it was observed at the time of first judgment by the apex court. After that, Supreme Court decided that they will restart Panamagate case hearing from 17th July onwards on daily basis. In between, Apex Court passed 4 orders that proved to be more than enough in this regard. SC ordered to open a criminal case against SECP Chairman Zafar Hijazi for alleged record tampering in Sharif family’s Chaudhry Sugar Mills records by the FIA (Federal Investigation Agency). 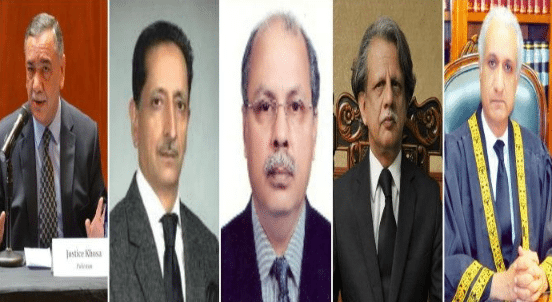 SC ordered the law enforcement agencies to submit the transcripts of speeches made by PML (N) representatives in which they used indecent language against the Apex Court. Khawaja Saad Rafique (Railway Minister), Talal Chaudhary (MNA/State Minister), Asif Kirmani (Special Assistant to PM/Senator) all came in the fold of that order. Apex Court ordered to the public the name of the person who leaked photo of PM’s son Hussain Nawaz, during a JIT appearance. The court ordered a commission to be formed to investigate the matter, as it does not fall within the SC’s jurisdiction. Supreme Court resumed hearing of the biggest case of national history as Finance Minister Ishaq Dar and the Sharif family’s lawyers submitted separate objections to the JIT report. However, the court said that it is not necessary to depend on JIT report for the further proceedings and ordered PTI’s lead counsel Naeem Bukhari to present his arguments before the court. After hearing the petitioners and accused parties, SC reserved its final judgement on Panama Case however they didn’t announce the date of the verdict. During the hearing, Court also opened the Volume-X on behalf of PML (N) lead counsel request as it was marked as ‘Confidential’ before by JIT. A copy of the Volume-X provided to the lawyer of Mr. Nawaz Sharif too. Volume X of the JIT report was titled as “Mutual Legal Assistance Requests ─ Ongoing”, as it was related to JIT’s international correspondence and the documents obtained from foreign countries during the investigation. Another huge step was taken by the apex court as FIA took SECP Chairman Zafar Hijazi into custody in Islamabad after its investigation revealed he had allegedly altered records related to the Sharif family’s Chaudhry Sugar Mills. The Supreme Court had ordered Zafar Hijazi’s arrest in light of the FIA and JIT’s probe reports. Finally, after all the tension, struggle and wait for around 16 months, the biggest case of national history came to its ultimate end and this time there is no split verdict. Honorable Supreme Court of Pakistan has turned down all the speculations and put past history of being not fair aside and disqualified the Prime Minister Nawaz Sharif with unanimous 5-0 Judgment. During their short order which was read by honorable Justice Asif Saeed Khosa the court ordered the Election Commission of Pakistan to de-notify the prime minister from his National Assembly seat with immediate effect to fulfill the technicalities of implementing the order. 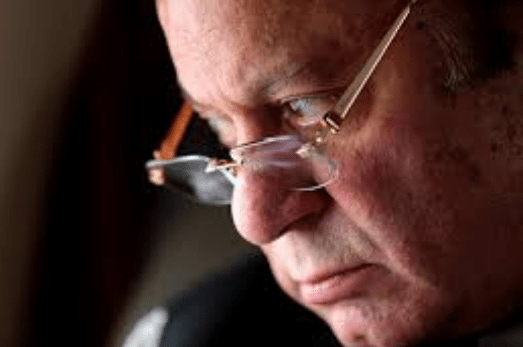 Supreme Court also ordered to the NAB to launch references against Mr. Nawaz Sharif, Mr. Ishaq Daar, Mrs. Maryam Nawaz and her husband Mr. M. Safdar, Mr. Hassan Nawaz and Mr. Hussain Nawaz within six weeks. To avoid the unwanted delay SC has limited the case inside 6 months. And more importantly, an honorable judge of SC will supervise the proceedings as NAB past history is not kind of a satisfactory one. The court further stated that the ECP should de-seat the PM for not disclosing his role in the Dubai-based Capital FZE company in his nomination papers, saying that this meant he was not ‘honest’ and ‘truthful’ anymore. The decision also brought to an end the third term of Mr. Nawaz Sharif. He was previously sent to the home twice without completing his turn, once by the President of the Country and once by a Military Dictator. Now, Ex-PM is asking his followers everywhere on GT road, in Bar Counsels, and in his pressers that why they drag me out of the power corridors (MUJHE KEON NIKALAA)? Beside this, NAB has filed the references according to SC guidelines and people of Pakistan can hope that now onwards, no one will be able to steal their hard-earned money and put the country in a deep darkness. Nowadays, Sharif family is appearing in front of courts. 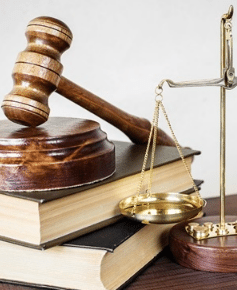 However, the decision from the public courts (AWAMI ADALAT) has yet to come in 2018 general elections, whether they learned from the past or still has a long way to go. Although, we can hope that Panama Leaks Hangama will bring the nation on track again and it will prove to be a turning point in our national history.